In the six years I’ve lived in Richmond, I’ve been able to make several great updates to my Church Hill home. As a result, my home is more beautiful and functional than it was when I arrived. But one update stands out to me: Converting my large living room window into a bay window. In addition to providing some much-needed character to my home’s exterior, my bay window also added to the ways I enjoy my living room. When I moved into my home, my living room featured three casement windows sharing a single large opening. While they provided a nice view, I was never really able to enjoy it. The closest piece of furniture to the window, my sofa, faced away from the window and the view, towards the TV and other seating. Try as I might, there wasn’t any way to arrange my furniture to take advantage of the view without facing away from other focal points in the room. Then a few months ago, I was in another Church Hill Victorian with the same living room layout as mine. Even the furniture was similar to mine. But instead of placing the sofa in directly front of the window, it was moved just a few feet toward the center of the room. And instead of a triple casement window, my neighbor had a large bay window. I loved it immediately. Unlike the casement windows in my home, my neighbors’ bay window extended out beyond the living room wall. That made for a couple of really cool benefits: The extension created enough space for a little seating area. By adding a couple of pillows and cushions, my neighbors fashioned a place where they could read or sip a coffee while enjoying the view. Because the bay window extended outward, it provided a much wider and more interesting view of the street. The window also let more sunlight into the room than mine; this was also very appealing to me, as the front of my home faces north, and my living room needs all the natural light it can get. After I left the home, I took a look at the bay window from the outside. I found myself admiring the extra architectural interest created by the extension, and by the copper-colored roof that topped it. Compared to my neighbor’s home, my own home’s façade seemed plain by comparison. It wasn’t long before I began looking into replacing the living room window on my home. After several conversations with local window companies, I’d managed to find the perfect bay window for my home at Richmond Window Corp. This window wasn’t exactly like my neighbors’, but was equally handsome. Rather than a copper roof, I opted for a window topped with shingles – a better match for the rest of my home. I was also able to closely match the color and style of the existing windows. As much as I like the new look of my home’s exterior, I enjoy the bay window much more from the inside. I rearranged my furniture just enough to allow easy access to the nook in my window. Like my neighbor, I’ve adorned the space with a pillow or two. Now it’s safe to say that my living room window has gone from an underused feature to one of my favorite things about my home. This entry was posted in Default by Juanita Rickard. Bookmark the permalink. 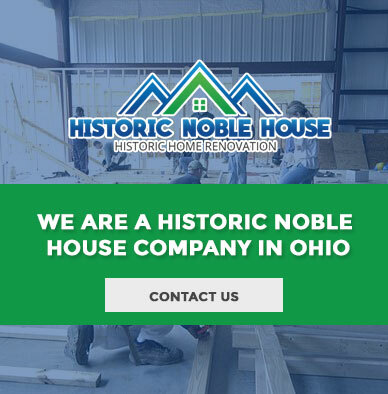 We are a Historic Noble House company in Ohio. Our company gives you the ability to buy any historic home and have updates completed. Historic Noble House can save you money in the long run. 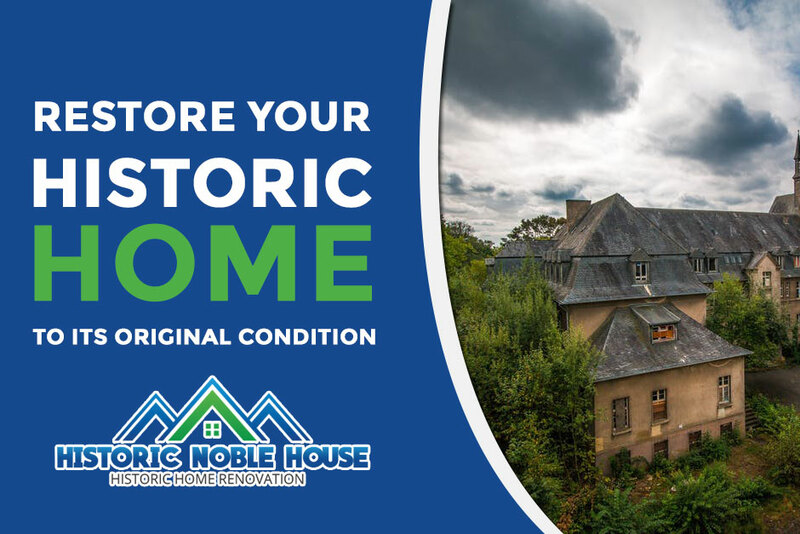 You can get various historic home restoration loan options when you decide to renovate your historic home. Copyright © 2019 Historic Noble House All Rights Reserved.